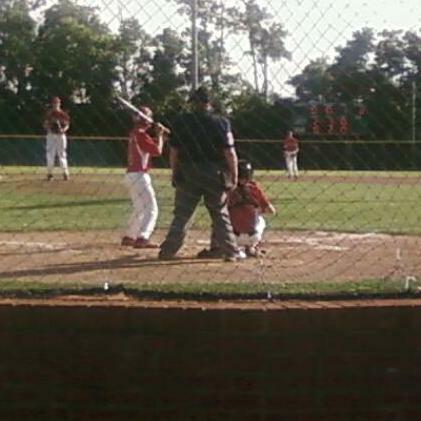 My husband, Jason, umpires high school, middle school and little league baseball games. He’s a good sport (in a lot o f different ways). When he’s behind the plate he has very stylized ways of behaving, standing and speaking. If you’ve ever heard an umpire call a strike you know it sounds something like, “Strrrraiiiike!” It’s definitely a part that he is playing, and if you don’t think he is being judged on his performance just listen to all the angry moms in the crowd. Jason didn’t learn all the skills he uses to umpire on the field; he learned quite a few of them when he participated in Kentucky Repertory Theatre’s youth theatre program in Horse Cave, Ky. He played the dying captain in MacBeth. He only had a few lines, but it was a great experience that showed him the fine line between angrily gesturing at a phantom dagger and calling a foul ball with an up-stretched arm. It’s too often that people who are passionate about the arts (like me) talk about sports in terms of how they compete with the arts for funding and peoples’ free time. When we’re making arguments for advocacy isn’t it more productive to talk about how arts experiences enrich the many facets of life? Let us know what you think.